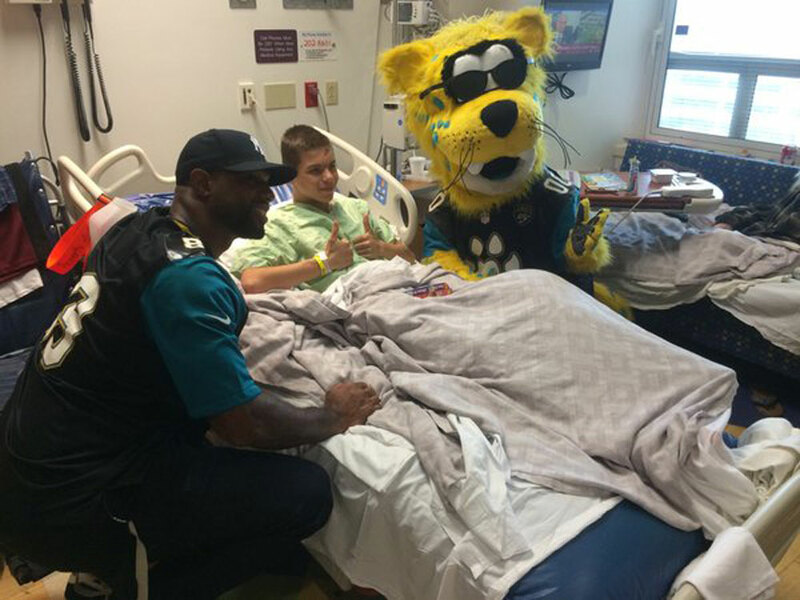 JACKSONVILLE, Fla. — Christmas came early for some young patients at Wolfson Children’s Hospital, where a Jacksonville Jaguars player and the team’s famous mascot played Santa for the day. Marcedes Lewis and Jaxon de Ville went room to room delivering presents and smiles. The Jaguars’ community partner Florida Blue helped put the event on.